In a previous post, we saw how to put Adsense ad inside blogger post body. Whatever, these methods would only work when we place the ads in the fixed location. But the most important for AdSense ads where we put ad codes for showing the ad to earn more revenue. It is important that the placement of ads in the post area. 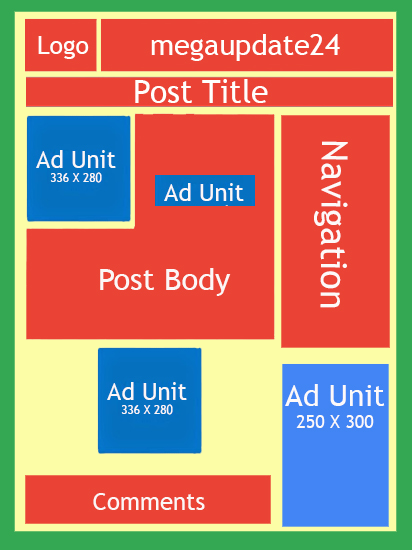 Often we need to Place Adsense Ads In The Middle Or Anywhere Inside Blogger Posts. It is so easy for a WordPress user but if we have been used Blogger platform for blogging. We have some critical issues for add Adsense ad in the post area. If we are interested in displaying any AdSense ads inside the middle of the post. We do this by adding a script inside the template and using a tag inside our post HTML where we want to show Adsense ads. Following this process, we can show ads anywhere. For example between paragraph, besides the post images, Also in the middle of the content. It is a very simple pretty process for manually insert Adsense ads in the middle of the post in blogger blog. Just follow these step below, I described here How to Add Adsense Ads In The Middle Or Anyplace Inside Blogger Posts. Before starting the process backup your template first from blogger dashboard. Rule 1: First of all we need to do Parse The Adsense Code or convert it to plain text. Then go to Template and click on Edit HTML. Now click on the HTML Area and press (Ctrl+F) for find the below tag. Note: You will find it one more time but need to stop the second time, If you can't any changes then, test the third one. Rule 3: Now replace the yellow code (<!-- Add here the code of your ad -->) with the converted Adsense code. Then save the template by click on the Save Template button. Note: If you don't add the level to bring up the ad, then the ad will appear below the title by default system. Don't worry about Google's terms of services because applying this system. We are not changing the structure of the ad. Hopefully, you are now able to Add Adsense Ads In The Middle or Anyplace Inside Blogger Posts. If you have any question about Add Adsense Ads In the Middle then ask me via comment. Don't forget to share this post on social media like Facebook or Twitter. I have my software fully activated with the two serials given.